Font Awesome component for Vue.js, using inline SVG. 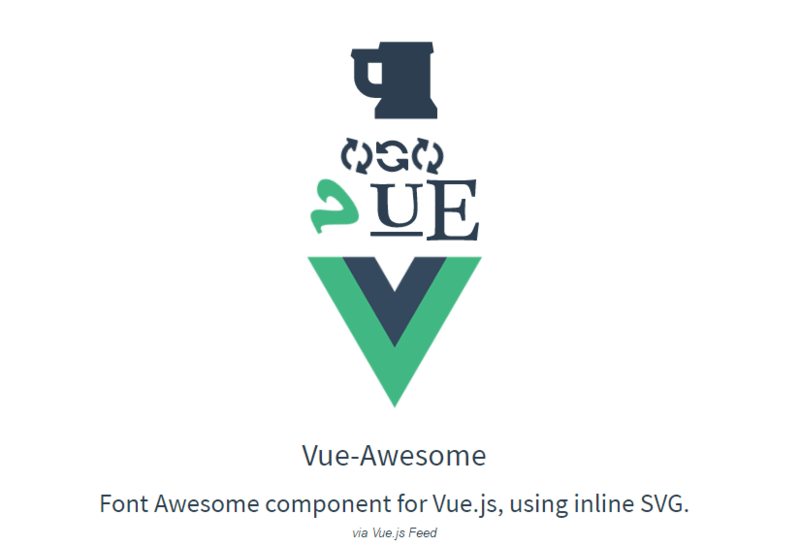 - Vue.js Feed Font Awesome component for Vue.js, using inline SVG. In Vue.js projects it is common to use plugins and external resources to achive functionalities which otherwise would be built from scratch. 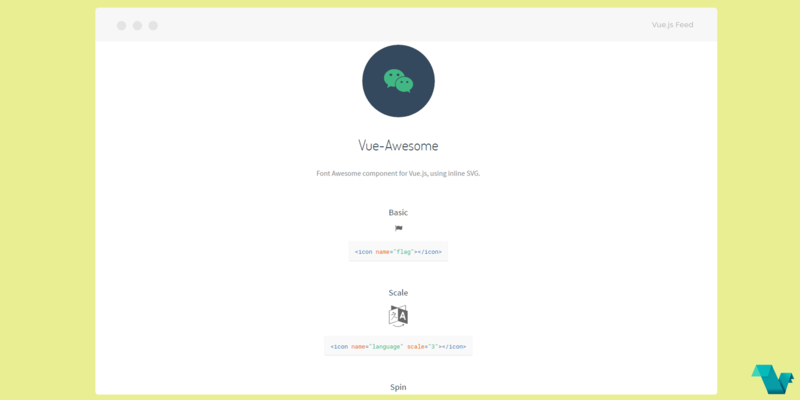 In this post Vue-Awesome is reviewed, a component for Vue.js, using inline SVGs, to add Font Awesome to your projects, built upon Font Awesome v4.5.0 and dependent on Vue.js v2.0.1+. Below there is a small usage example using the vue-awesome component. Vue-Octicon by the same author of Vue-Awesome. SVG files are generated using fa2svg by @riobard. This projects is available in a repository here.